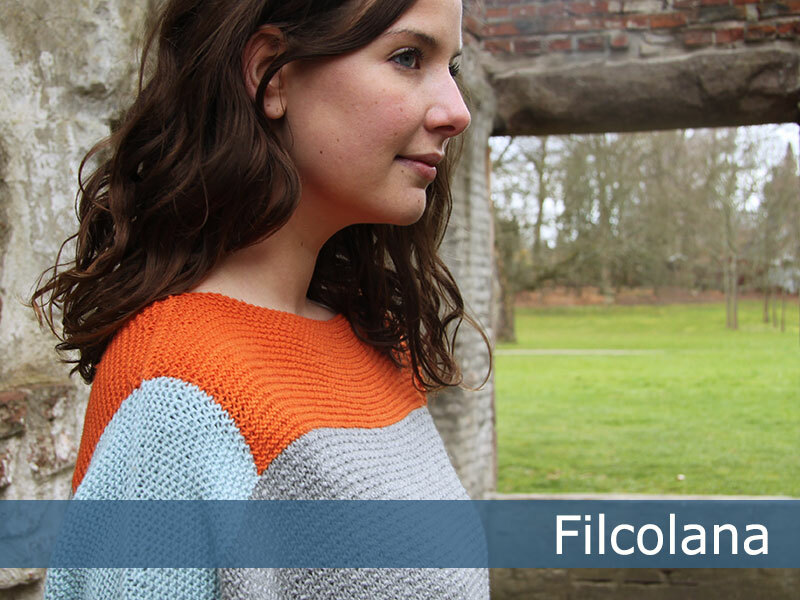 Cinnia is an incredibly soft and springy yarn, which is really lovely to wear. 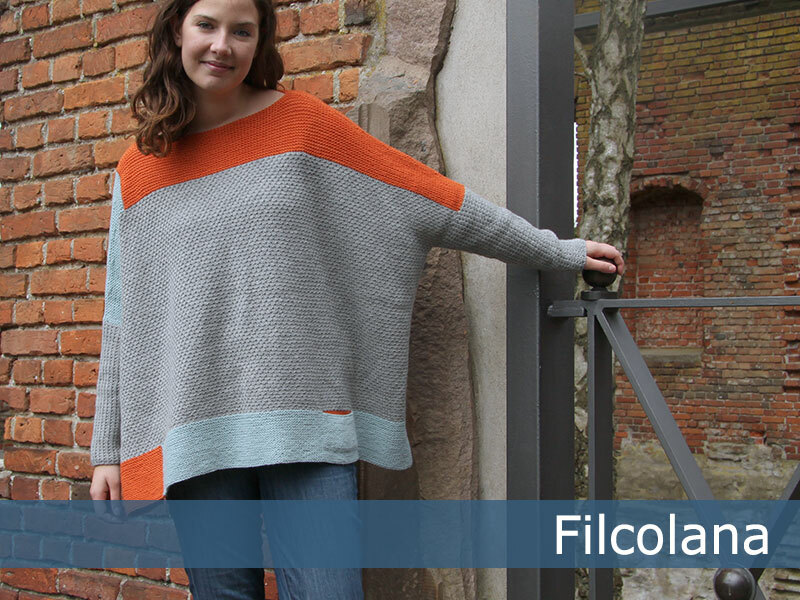 The sweater is designed to be worn with tight trousers, so it has space to drape and flutter about the body. 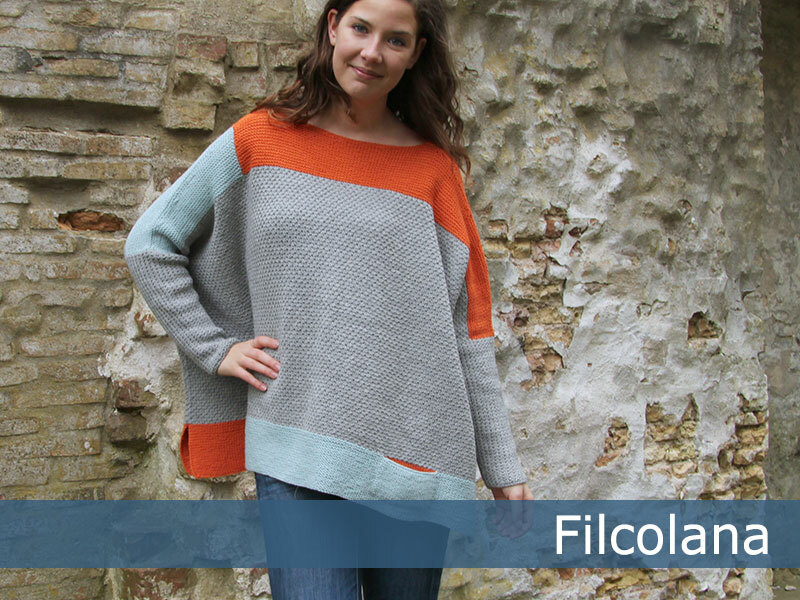 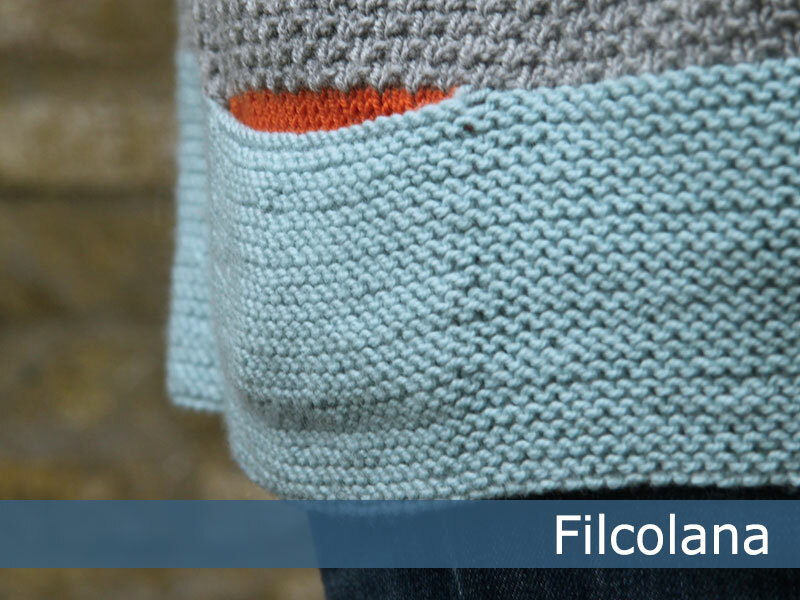 I HAD to knit in grey with mint and orange, but you should feel completely to pick and match colors to suit your mood and your wardrobe.